Paul Edmondson recently announced that Google has begun charging HubPages to use the Map Capsule feature. Don’t worry, HubPages is picking up the tab. We’re not deducting the cost from your earnings. However, we’d like to take a moment to refresh authors on Map Capsule best practices in order to prevent superfluous and unnecessary uses of this feature. If HubPages is paying for it anyway, why should I care? The more money we spend on things like unnecessary or improperly used Map Capsules, the less we have to spend on maintaining other features that are actually benefiting authors, and on creating new features that may help to increase revenue. Should I remove all of my Map Capsules? Don’t be hasty, friends! Some articles are genuinely better for readers when they contain Map Capsules. We want you to keep them when they’re a good fit. We just want to reduce misuse. An article about the top 10 cocktail bars in San Francisco. If readers are looking for this information, it is likely that they are in San Francisco or are planning to visit soon. Readers will actually want to travel to some (or all) of the bars on the list, and Google Maps can help them do so. An article about visiting the Empire State Building. People who are reading up on what it’s like to visit this iconic attraction are likely to want to go there. Including a Map Capsule makes it much more convenient for them. An article on the best fossil collecting sites in the Continental United States. Even though these sites might be very spread out and far away from one another, hobbyists may want to travel to the ones closest to where they live, or even make a special trip to visit the far away locations. History articles. If you are writing about places where important events happened in history, consider adding maps as photos rather than in a Map Capsule. Your audience is most likely reading to be informed, rather than to make travel plans, and images of maps can actually be much more informative for demonstrating specific things like trade routes, historical layout of the area, weather patterns, terrain, and more. Trivia articles about a specific place. If you are writing a “10 Fun Facts About Austin, Texas” article, you don’t need to include a Map Capsule. If readers are searching for this information, they likely already know where Austin is. They’re just looking for interesting trivia, not necessarily planning a visit or vacation, and many readers may already live there. Tangential or supplementary Map Capsules. A biography of a famous person, for example, may discuss the location where that person was born or where they lived, but it does not need to include a Map Capsule. Articles on bands or musicians may mention the locations where their most iconic performances happened, but Map Capsules are not required here either. Product reviews may discuss where an item was manufactured, but these should also not include Map Capsules. In all these examples, simply mentioning the place is sufficient for serving the needs of the reader. Insert a Map Capsule into your article. Click the “Edit” button to open the capsule. Give the capsule a subtitle if you wish. Remember, the subtitle will need to apply to every pin within the map. Continuing the example from above, we might chose to call it “Where to Find the 10 Best Cocktail Bars in SF,” or something similar. Choose which map type you want to display, or leave the default “roadmap” style in place. Use the “Enter an address:” section to search for a place by name or enter in an exact address, if you have one. The address should show up below the “search” button. Click “Pin a marker” next to the address. Customize your pin with a place name, address, and description. Click “done” in the upper right corner of the pin customization box. Repeat steps 5-8 up to 10 times to add multiple pins to the same Map Capsule. If you do decide to add images of maps instead of Map Capsules, please be sure you are obeying copyright laws. Maps must either be in the public domain, properly cited under a Creative Commons license that allows commercial use, your own original work, or used with permission from the copyright owner. OpenStreetMap is a great place to get map screenshots that are free for commercial use and can be placed in HubPages articles where an interactive map is not necessary. You’ll simply need to credit “©OpenStreetMap contributors, Open Database License” in the image source field. Remember, we want you to continue using Map Capsules when they are useful to the reader, so usefulness should be your number one guiding principle. Thanks for reading, and let us know if you have any questions. Things have been running smoothly integrating the HubPages and Maven strategy, and providing opportunities for our authors is in the forefront of our talks. We were thrilled to be part of the Maven Coalition Conference, which included a number of our awesome Hubbers, and we have been working with the Maven staff to help our authors build communities on Maven. Today, we are excited to announce our first pathway for Hubbers to become Mavens! We have a couple of iterations of our plan, but our first offering is for Hubbers to apply to move a personal site to the Maven and be the owner of a particular vertical. If you are interested in moving your domain to the Maven and running a category, we’ve included some of the requirements, responsibilities, and perks that this partnership entails. A personal domain with a minimum of 25K monthly unique visitors that you are willing to move to a maven.io domain. Domain is on a niche category, e.g., auto repair, quilting, recipes. Hubber will be active on the vertical and build a community of users that encourages engagement and participation. Will I still be able to publish on HubPages? Of course! We recommend that you continue to publish articles on HubPages. This is a separate opportunity to build community around your area of expertise. Can I find a partner in owning a vertical? Yes! It is definitely an option for Hubbers to join forces and run a channel together on a particular niche topic. So, for example, if you move over your knitting site and two other Hubbers in the knitting community want to help run the knitting channel, you could sign an agreement together. What will my time commitment be? The time commitment varies and is dependent on how much you want to put into the project, but there are minimal requirements like posting everyday on your channel. Once approved you will be sent Maven’s partnership agreement for review and signature. What if I don’t have a personal website, but I would love to run a vertical? We will be rolling out the next phase to Hubbers in the future to bring on Hubbers that do not own a personal site but that want to become Mavens on a particular niche. Congratulations to the Winners of the Mother’s Day Writing Contest! We are pleased to announce the three winners of this year’s Mother’s Day Writing Contest. Congratulations to Jill Spencer, Linda Crampton, and Oyewole Folarin! We received so many fun and interesting articles that it was really tough for us to narrow it down to just three. The winning articles really exemplified creativity and quality writing. We look forward to reading more of your amazing articles in the next contest! 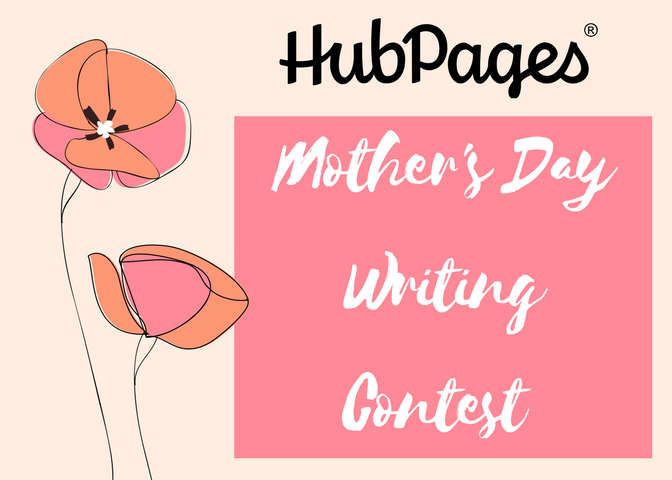 Write an article by May 10th that is dedicated to the celebration of motherhood, and submit to social@hubpages.com where it will be judged by our team of editors (informative articles only; no creative writing, please). The best three articles will be featured in the HubPages blog and on one of the HubPages’ social media handles. Happy writing! Congratulations to Our Easter Writing Contest Winners! Happy Easter! We are delighted to announce the three winners of this year’s Easter Writing Contest. Congratulations to Bethany Halbert, Diane Lockridge, and Janisa Chatte! Easter Traditions: Bunnies or Bells? We received so many wonderful articles for this contest that we had a tough time narrowing down our three winners. We are so proud of everyone’s originality and hard work, and we look forward to seeing more of your creativity in the next contest! I’m thrilled to announce that Maven has officially signed a letter of intent to acquire HubPages (as well as publishing and advertising firm Say Media). The goals of this dream team are to provide highly curated content of excellent quality for readers (while fighting fake news), to be the best home on the internet for independent content creators, and to ultimately revitalize the field of journalism to better suit modern writers and their audience. Big goals for a coalition with big dreams. We can’t wait to see where this next stage of the HubPages journey takes us, and we’re so grateful to have such talented writers along. 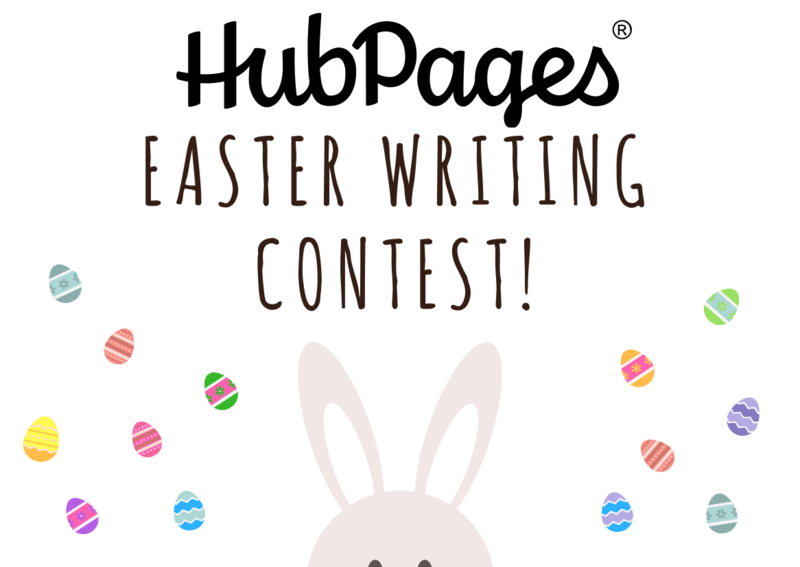 Join the Holiday Fun With the HubPages Easter Writing Contest! What’s better than egg decorating and honey glazed ham? Writing about it! To celebrate Easter, HubPages is hosting the HubPages Easter Writing Contest! Write an informative article (creative writing isn’t eligible) by March 29 at midnight (PST) on something related to Easter, and submit for consideration by our team of editors. The best three articles will be featured in the HubPages blog and on the HubPages Facebook Page. Happy writing! Happy Valentine’s Day! Today I’m delighted to announce the winners of the LoveHub Writing Contest. We only intended to chose one winner, but there were so many wonderful submissions that HP staff had trouble picking our favorite! We decided to make it a tie. Congratulations to authors Sally Gulbrandsen and Glimmer Twin Fan! How to Make a Wet-Felted Heart Cushion for Valentine’s Day and Conversation Heart Petit Fours are the winning articles. Both projects blew us away with the amount of effort they took to create, the stunning original photos, the excellent writing, and the fact that they were perfectly on-theme. Well done! And finally, we would like to extend our thanks to everyone who participated. HubPages and our Network Sites are a better place because of the delightful works you’ve created. Keep up the great writing! 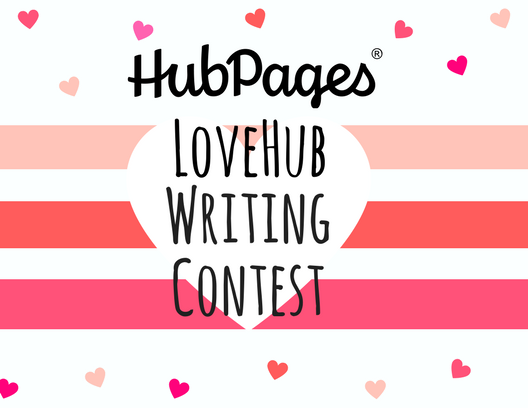 Announcing the LoveHub Writing Contest! Howdy, friends! Love is in the air this year and we’ve decided to celebrate with a Valentine’s Day-themed contest! Want to try your hand? Simply write a Valentine’s Day-appropriate article and submit it. What kind of articles will be accepted? We will be considering all submitted articles having to do with Valentine’s Day and/or romance. Stuff like relationship and dating advice, articles on the history of Valentine’s Day, Valentine’s-themed craft and recipe tutorials, a list of top favorite romance novels, and Valentine’s Day activities for kids will all be accepted. Your article must follow all HubPages rules, and ideally, meet the Stellar Article guidelines as well. What is the prize for winning? The winner will have his/her article featured in the HubPages Blog and on the HubPages Facebook Page, as well as on the Facebook Page of the appropriate Network Site. Write a new article between now and February 13th at midnight and email social@hubpages.com with a link to the article. You are welcome to submit multiple articles as long as they are all new and theme-appropriate. The winner will be announced Valentine’s Day afternoon. Best of luck and happy Hubbing!